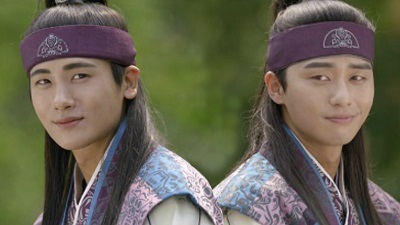 Hwarang was such a wonderful historical! I was surprised at just how much I thoroughly enjoyed it. It has everything I love in a good historical. The story was excellent and developed so nicely with great pacing from start to finish with a wonderful balance of lighthearted humor, romance, political scheming, action, and angsty goodness. Capital Scandal is a fun 1930’s drama that really encompasses the time period with its stylish costumes, fun music, and a great atmosphere. The first few episodes are a bit more comedic, but things become more serious as the drama progresses. And once the story gets going, it gets really interesting. There is a complex web of secrets connecting everyone which brings a certain intensity. It’s also interesting to watch a small group of freedom fighters go up against the Japanese forces. So even with one disappointment, the other dramas more than made up for it. Hwarang is definitely the winner of the month for me, and I really did love it! For the month of May, I hope to complete The Liar and His Lover, Radiant Office, and a couple others. So how was April for you? This entry was posted in Articles and tagged Han Ji Min, Hwarang, Kang Ji Hwan, kdrama, Korean Drama, Nam Goong Min, Park Bo Young, Park Hyung Shik, Park Seo Joon, Strong Woman Do Bong Soon. Bookmark the permalink. I had to laugh at this line from your review of Hwarang “It has everything I love in a good historical.” So true. Especially the “Flower Boys”. Especially Park Seo Joon and Park Hyung Shik. Many times I’m OK with poor writing, plot devises, acting and directing if the lead is attractive. Oh well, so be it. Question about Hwarang, did the Queen’s voice drive you bonkers? I stopped watching halfway thru the first episode cuz I couldn’t stand her voice. I still plan on watching it. But I need to forget her voice first. Lol, I wasn’t bothered by the Queen’s voice, but I’ve heard several people say it bothered them. Of course, I’m not usually bothered by voices. I can only think of one person in one drama where his voice just really bugged me. It was a weird experience, lol.